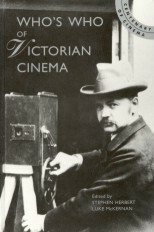 George Albert Smith is one of the most important figures in Victorian cinema. He was born on 4 January 1864 in London. After the death of his father, his mother moved the family to Brighton where she would run a boarding house on Grand Parade. In the early 1880s Smith began to perform in small Brighton halls as a hypnotist. 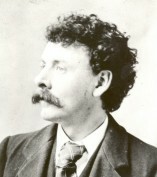 From 1882 Smith and his new partner, Douglas Blackburn, developed a 'second sight act' (the assistant hides an object in the theatre and then the performer, blindfolded, leads him to it) and feats of 'muscle-reading' (the performer transmits to the blindfolded 'medium' on the stage the identity of objects selected by the audience). Successful shows were staged at the Brighton Aquarium. Smith would claim that genuine telepathy was practised but Blackburn would later admit that the act was a hoax. However, representatives of the Society for Psychical Research (SPR) did believe that Smith and Blackburn had the gift of true 'Thought Reading'. Smith became closely involved with the Society's activities by becoming the private secretary to its Honorary Secretary, Edmund Gurney. He held this post from 1883 to 1888. In 1887, Gurney carried out a number of 'hypnotic experiments' in Brighton, with Smith as the 'hypnotizer'. Gurney died in 1888 and his successors at the SPR, F.W.H. Myers and F. Podmore, continued to employ Smith as their private secretary. Smith would co-author the paper, Experiments in Thought Transference for the Society's journal in the next year. In 1892, by which time Smith had left the SPR, he acquired the lease to St Ann's Well Garden in Hove. This was only a short distance from Brighton and the seafront. He cultivated this site so that it became a popular pleasure garden. A Hove newspaper described it as, 'This delightful retreat ... presided over by the genial Mr G. Albert Smith, is now open ... In the hot weather the refreshing foliage of the wooded retreat is simply perfect, while one can enjoy a cup of Pekoe in the shade'. Lawn tennis, 'ferns, flowers, grapes and cucumbers for sale in the glass houses' a gypsy fortune-teller, a monkey house, lantern exhibitions given by Smith of 'dissolving views' and the occasional 'thrilling parachute descent' provided it with a distinctive character. The garden would also become the location for his 'film factory'. Smith saw and appreciated the Lumière programme in Leicester Square in March 1896 and would have been aware of Robert Paul's great success with the new medium across that year. Paul's films played in Brighton for that summer season. Either at the end of that year or in early 1897, he acquired his first camera. John Barnes lists thirty-one films made by Smith in 1897. The few which have survived still display a remarkable charm and fascination and show how quickly he had acquired an understanding of how to work within the confines of seventy-five feet of film. By 1898, with Santa Claus, he was using superimposition to effect the arrival of Santa. As a magic lanternist, he understood the cutting techniques perfected with biunial and triunial (two-lensed and three-lensed) lanterns and brought this consciousness to his filmmaking. Smith made only the studio shot of the train carriage in The Kiss in the Tunnel (1899), but when he inserted it into Hepworth's phantom ride View From an Engine Front - Train Leaving Tunnel he created an edited film which demonstrated a new sense of continuity and simultaneity across three shots. This filmic imagination was radical for the time and it continued to develop in the next year. As Seen Through a Telescope, Grandma's Reading Glass, The House That Jack Built and Let Me Dream Again, all of 1900, were remarkable for the interpolative use of close-ups, subjective and objective point-of-view shots, the creation of dream-time and the use of reversing. Smith was instrumental in the development of continuity editing. He taught his contemporaries how to create a filmed sequence. Smith knew and corresponded with Georges Méliès at this time. At St Ann's Well and Wild Garden in 1897 he turned the pump house into a space for developing and printing and in the grounds, probably in 1899, he built a 'glasshouse' film studio. Regarding his use of apparatus, the Brighton engineer Alfred Darling provided Smith with great assistance as he was a gifted manufacturer of cameras, projectors, printers and perforators. Smith's wife, Laura Eugenia Bayley, acted in many of his films as did the local Brighton comedian, Tom Green. In the late 1890s, Smith developed into a successful commercial film processor. His clients included Charles Goodwin Norton and John Benett-Stanford. Chemicals were purchased from the Hove chemist and fellow film 'pioneer' James Williamson. His largest customer became the Warwick Trading Company. Through this relationship, Smith became part of the company and developed a long partnership with its then managing director, Charles Urban. By 1902 Smith was referred to by Warwick as the Manager of its 'Brighton Studio & Film Works'. The distribution of the G.A.S. Films was first handled by Warwick and then transferred to the new Charles Urban Trading Company in 1903. Smith's films attracted international interest. The Vitagraph Company of New York had acquired twenty-nine Smith films by 1900. The two colour additive process known as Kinemacolor, would dominate the rest of his career in film. Urban acquired the Lee and Turner process in 1902 and financed Smith to develop it. Probably as a result, he would produce no significant films after Dorothy's Dream and Mary Jane's Mishap in 1903. In either 1904 or 1905 he gave up the lease on St Ann's Well. By this time he had purchased a new home at Southwick, Sussex, and built what he called 'Laboratory Lodge'. This is where Kinemacolor was developed. The first demonstration of Kinemacolor took place on 1 May 1908, with the first public demonstration following in early 1909. Special presentations of this new colour system also took place in Paris and New York. For this work Smith was awarded a Silver Medal by the Royal Society of Arts. Urban turned Kinemacolor into a new enterprise, the Natural Colour Kinemacolor Company. It had success in the period 1910 to 1913, producing over 100 short features at its studios in Hove and Nice. A patent suit brought against Kinemacolor by William Friese Greene in 1914 would lead to its collapse and end Smith's life in the film business. In his later years, Smith would spend time peering through his telescope in his Brighton seafront arch. He was a Fellow of the Royal Astronomical Society. In the late 1940s he was 'discovered' by the film community. Ernest Lindgren, Rachael Low and Georges Sadoul interviewed him, and he was venerated by Michael Balcon as 'the father of the British Film Industry'. In 1955 he was made a Fellow of the British Film Academy. Some audio recordings of Smith have survived from the late 1950s. G.A. Smith died in Brighton on 17 May 1959. In Hove today, all that remains of Smith's film career is the park, St Ann's Well, and a one storey shed which stands on the south side of the Brighton-Hove railway line, near to Hove Station. This was part of the original Williamson Studio but was acquired by Smith and Urban in 1910. On it one can still read the word KINEMACOLOR. Hove Museum has a permanent display on Smith, as well as Williamson.